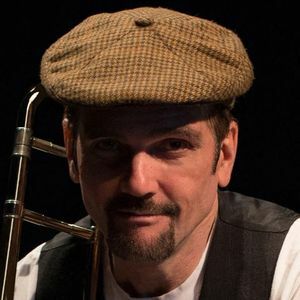 Join jazz vocalist/trombonist Steve Berndt for a review of compositions from his upcoming solo jazz album accompanied by three of Ottawa's best jazz musicians: Norm Glaude on bass, Michel Delage on drums and pianist J.P. Allain. Having just recorded his first solo jazz album with a variety of Ottawa's best jazz players, Steve will perform many of the songs he wrote for the new album including some pop songs performed with a jazz treatment. Steve's two bookend jazz vocal/piano albums enjoyed on rotation on CBC's “Tonic” since release, “Déjà Vu” having been chosen as one of the Top 10 2012 jazz albums by The Ottawa Citizen's Peter Hum and “All Over Again” having been enthusiastically reviewed by Scott Yanow in the May 2016 Los Angeles Jazz Scene. Also, “Blue Skies On Mars”, a song Steve wrote for a movie of the same title won “Best Original Song” in the 2018 Independent Film Awards in Los Angeles and was nominated in the 2018 Orinos Film Awards in Italy.